Well, it's not quite July yet and it is 112 outside today! I thought I'd work on a Christmas card and it might help cool me off. It actually did have me humming Christmas tunes. Really, if you make a lot of cards for Christmas it's never too early to start. This is just a quick little card using up things I had on hand. My wonderful hubby made me a peg bow maker and it works like a charm, kind of like a third hand. For those of you that do not have one of those, the BowEasy will work just as well, it's just a bit more difficult. This was the first time I tried to make a circle with a string of sticky back pearls. Using the edges of the scallops it was not too difficult. I used my favorite Dizzy Doily by MFT Die-namics again! I promise to use something else for my next card. The sentiment scalloped circle is from Spellbinders. The netted flowers are available locally at School Adventures as are the Dizzy Doily. BowEasy and Spellbinders. Stamp sentiment by Papertrey Ink. This is the my challenge card for MFT Getting Sketchy #24. I have been trying to use up some of mountains of paper that I seem to have acquired. You know how it is, see it, gotta have it, put it away, forget it..... well this card evolved out of some black and cream paper that I have no idea when or where I got it. Actually I most likely got it from School Adventures (my LSBS). Anyway it really makes me feel good to use up some of what I have. The doily is my favorite MFT (My Favorite Things) Dizzy Doily. Spellbinders Labels 20 is the center tag. An EK Success border punch was used for the scallops and circles border. The flower is another of the Satin Roses that I made using several sizes of circles and burning the edge. This is my card for the Shabby Tea Room Week #67 Challenge. It had to have checks and dots! Also had to have a pink, green color scheme. The color just would not photograph correctly. The green in the photo has too much yellow in it. It is really more of a pale sage green. Anyway, I just used what I had laying around my scrap room. Would like to have shopped around for a different dotted paper but oh well sometimes you just have to "go with it". I made the roses using satin fabric. I just cut different sized circles and then burned the edges using a butane candle lighter. I really like the way they turn out. Some satin works better than others and you have to be careful not to set them on fire! The background paper is from Websters Pages. The checked doily is MFT Dizzy Doily which I seem to use a lot. The sentiment is from Heartfelt Creations. The little embellishment on the ribbon is from Websters Pages Min Petals Whimsies. I have been asked how I take my pictures for posting on my blog. Well, I started out just taking them around the house where the light was best and there were no reflections from the windows or from the overhead lights. That took a bit of time since I have so many windows in my house. I had to take too many pictures to get what I wanted and then they still didn't suit me. I decided to check around for a good light tent set up. I wanted one that was portable and could be dismantled easily if necessary. Something that you could even set up in a spare bedroom right on the bed. The collapsible tent comes with red black and white cloth inserts. I added a piece of white poster board to eliminate the view of the fold in the back. I have a light on each side and added my old Ott light in the back for additional light. The daylight bulbs are necessary for the correct color rendition. I always use a tripod for sharper photos. Most any camera will do although I use a Panasonic Lumix DMC-G2 . I use Photoshop Elements to further adjust the photo. This allows me to crop the photo and lighten it further if necessary. The light tent set up is pretty reasonable at about $80.00 including the lights and can be found here . Just look below the add and you will find the lights+tent combo that I have. If you plan to photograph your cards for submissions or contests a light tent is the way to go. I am very happy with mine and use it for eBay sales as well. I hope this was helpful to you all and thanks for stopping by. I will have a new card with handmade satin roses for you tomorrow. I seem to be into red lately. Today's card is another using that wonderful Martha Stewart Double Arches Punch set. It makes the nicest frame and is so easy to do. The center white block is embossed with the Sizzix Dots and Ribbons embossing envelope and I added some red rhinestones from Spellbinders Want 2 Scrap Nestablings. 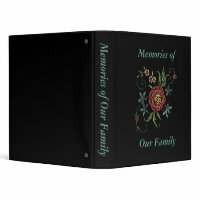 The sentiment was stamped onto Spellbinders Label 20 and backed with a larger version. Red ribbon bow, white corsage pins and white roses complete the card. I added a row of double arches to the bottom of the inside and a white Spellbinders Label 1 in order to add more sentiments to the inside. Locally School Adventures has the MS Double Arches Set. They are currently out of the Sizzix embossing folder but it should be in anytime. This was my entry for the MFT Weekly Getting Sketchy #23 challenge on Splitcoast Stampers. I used the MFT Pure Innocence, Love You With All My Heart stamp and colored her with Copic Sketch markers. I cut her out and placed her on the MFT Dizzy Doily. I free-handed the flowers on her dress and the flag within her heart using my Copic Sketch markers. She wears a tiny blue ribbon bow in her hair. Don't you just love these little Pure Innocence stamps. They are quite adaptable to many different themes. The Red white and blue sticker is from K&Company's Americana. Bazzill cardstock and Jillibean Minestrone Paper make up the card base. White cardstock was embossed using a Cuttlebug musical folder. For those of you in my area you can purchase all of these at School Adventures. You can order a nice set of 72 Copic Sketch markers from Amazon . Today's card is inspired by the stamp Poppy, by Crafty Secrets. I love flowers and since I live in the desert and it's difficult to grow flowers the next best thing is to paint them. I have done many oil and water color paintings mostly of roses so when I saw this stamp I just had to buy it! Having trouble seeing the Copic numbers? You can click on the photos for a larger picture. Thank you for stopping by. If there is anything you would like to see please leave me a comment. Have a super day! This card would be perfect for a wedding, engagement or any special occasion. This card is made using Bazzill cardstock in black and two shades of pink. The Lattice frame is made using the Martha Stewart lattice punch. I found that cutting the mitered corners with the usual paper trimmer proved to be a bit of a hassle so I switched to a guillotine cutter and it was a piece of cake. I had never used that type of cutter before and it seems to be much more accurate when cutting tiny slivers or doing that miter cut. The center label is from Spellbinders labels 20. Sentiment is from Inkadinkado Expressions. The triple bow is tied using the Bow Easy. All available locally at School Adventures. I thought I would showcase some of the Cheery Lynn Design dies that are available at School Adventures. I made this card using a page from the Butterfly Garden 6x6 paper pack. Martha Stewart's Lattice punch forms the right side. The Garden gate, butterfly and the leaf swirl are from Cheery Lynn Designs. The vines flower buds are Dew Drops. The tag is Spellbinders Fancy Tag Two. Flowers are Prima. All these items are available from School Adventures. If you are enjoying the card ideas, please add yourself to "Follow Me" on the right side of this blog. And with that I wish you all a Fabulous Day! Hello again everybody. Today I came across this interesting Blog Hop. This will be my first entry into any type of contest. Check out the information at Craft It Forward. It is being sponsored by Better Homes and Gardens, Scrapbook Ect.. This is my card that I entered to support our men and women serving in the military. This card was made from a paper pieced shape of the United States a few buttons, ribbon and silk flower petals. The woven blue ribbon is Sinarnay Naturally Pulsar. The sentiment tag is from Spellbinders Labels 4. Have a great day and thanks for stopping by. This is another fun to make card. I am so in love with MFT Pure Innocence Stamps. I have a friend who has honey bees and the honey they produce is just fabulous! This is the perfect card to send her. The inside of the card just completes the front saying, with lots of room to add a personal comment. Cardstock by Bazzill, Stamp from My Favorite Things, Pure Innocence Line, Honey Bee. There are quite a few of these adorable little girls and I will be posting more of them soon. The stamp was colored with Copic Markers and with my next Copic colored card, I will give the color numbers for you. I am getting more organized at blogging with each post. All these things are available at School Adventures except for the Buzzin' By sentiment, that is from Stampin' UP. I hope you are enjoying viewing these cards as much as I am enjoying posting them for you. I hope you have a spectacular day.